Of all the dozen or more varieties of tomatoes we have grown this year at Garden Posts, my favourite by far in terms of looks, is definitely the Costoluto Fiorentino. 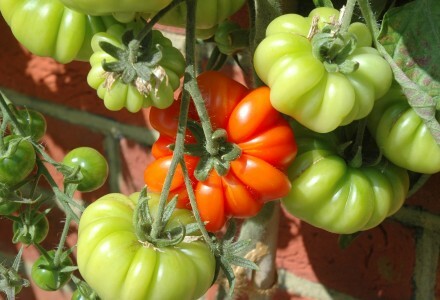 Whilst it may not have the deepest flavour, it just looks fantastic both on the plant and in any dish. These tomatoes are so cute. I want to try them, but I wonder if they are suitable for my climate. I live in London, so do you have any idea if I can plant them? Hi Kelly. These were grown in Oxfordshire so I’m certain you’d be fine in London. I’m not sure I’d describe them as cute though as they grow to quite a size.